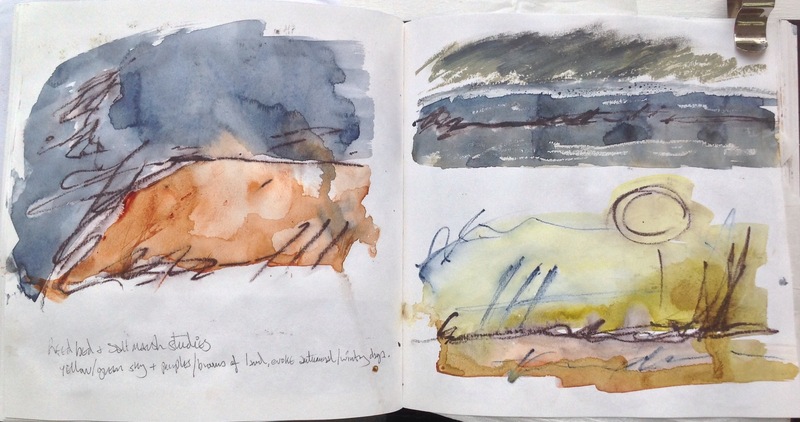 a few workbook pages filled while invigilating my recent solo exhibition in King’s Lynn. 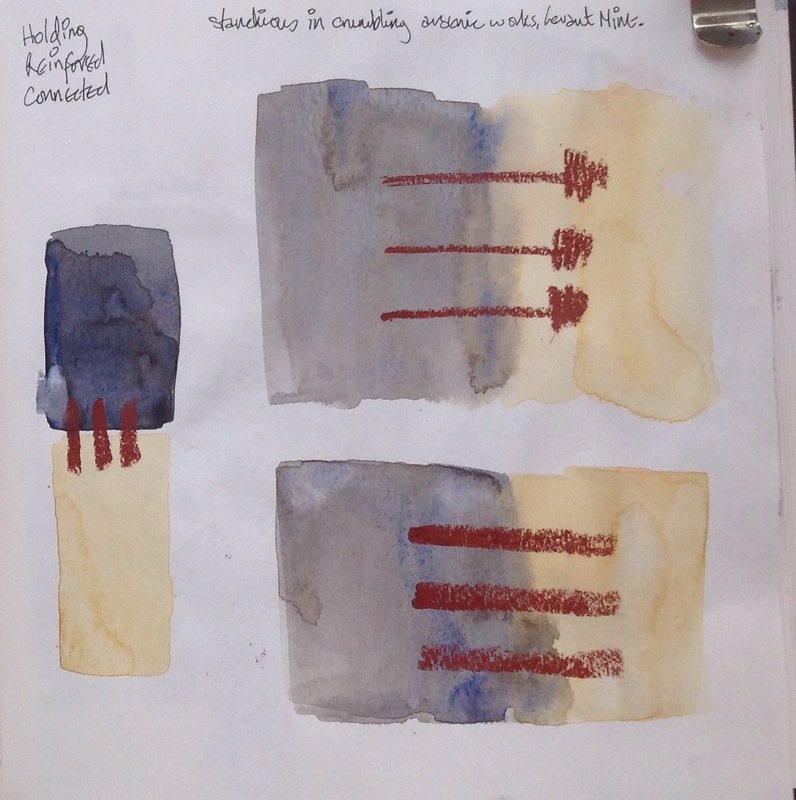 The first three are inspired by exploration of the Penwith mining area in west Cornwall; the last two by recent walks along the north Norfolk saltmarsh. 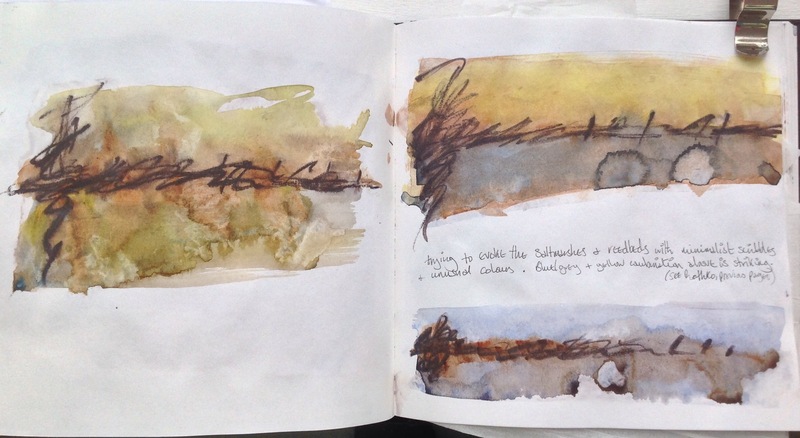 This entry was posted in art, sketching and tagged art, coast, cornwall, marks, mining, norfolk, Penwith, rust, saltmarsh, sketchbook, watercolour, workbook by mari french. Bookmark the permalink.